We have just added the third part or Sebastian Solberg’s behind the scenes featurette to the Resistance page on our site. 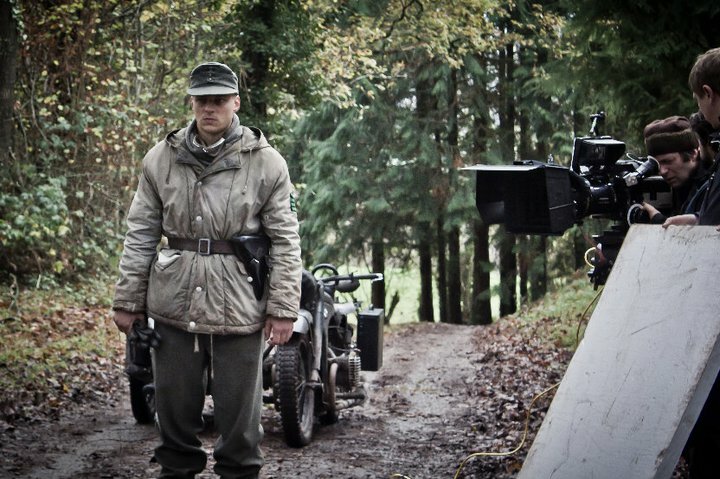 We have just added the second part or Sebastian Solberg’s behind the scenes featurette to the Resistance page on our site. 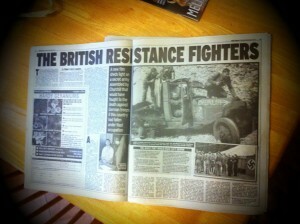 CART Founder Tom Sykes has written a review of the film adaptation of Owen Sheer’s novel ‘Resistance’. Tom and other CART member’s were advisers on the film and spent many hours trying to ensure the production team obtained the right look of the Auxiliary Units. 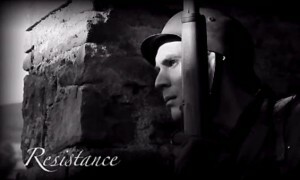 We have just added a ‘behind the scenes’ featurette on ‘Resistance’ to our site. It also gives info on where you can go and see the film later this month. 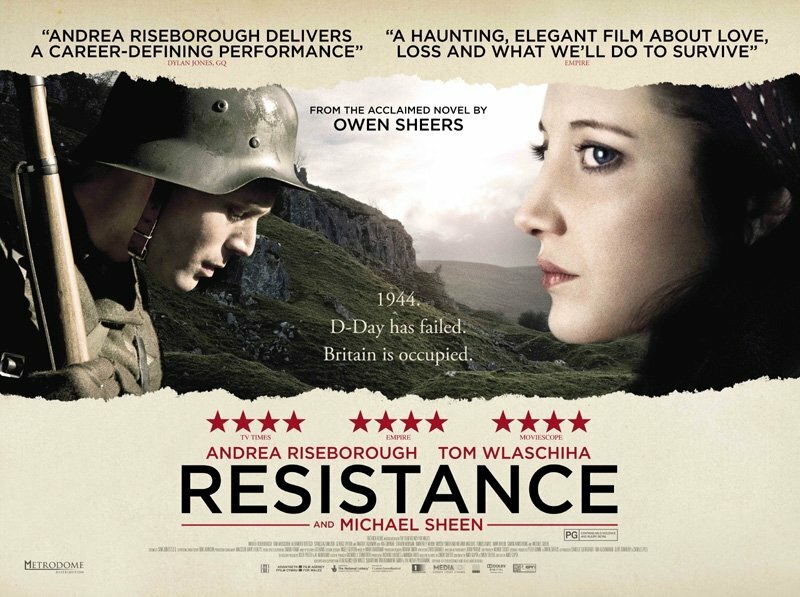 Michael Sheen and Andrea Riseborough star in Owen Sheer’s ‘Resistance’, a drama set in an alternate Britain in which D-Day has failed and the country is under Nazi occupation. 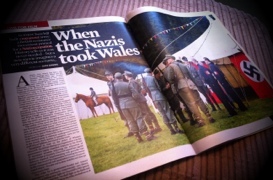 CART were historical advisers on the film but sadly the Auxiliary related content is minimial. 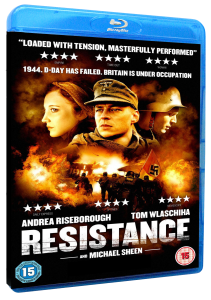 Resistance is out in the UK on 25 November. You can see the trailer below. 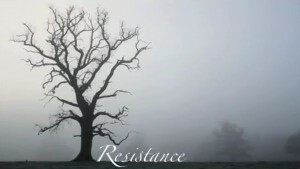 Resistance will be released at the following cinemas on 25th November: Apollo Piccadilly Circus, Cineworld Sheffield, Cineworld Glasgow, Cineworld Cardiff, Chapter Cardiff, Apollo Port Talbort, Cineworld Newport Gwent, Showcase Nantgarw, Savoy Theatre – Monmouth and Baker Street Cinema – Abergavenny. 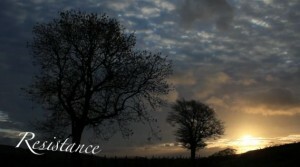 Last month we spent some time making a short film for Abergavenny Museum. This involved filming in Langstone with re-enactors and Sallie Mogford, Grandaughter of Les Bulley, an Auxilier with Jonah Patrol.